Homes built during the 60s and 70s tend to have boxy rooms with carpet and dark paneled walls. 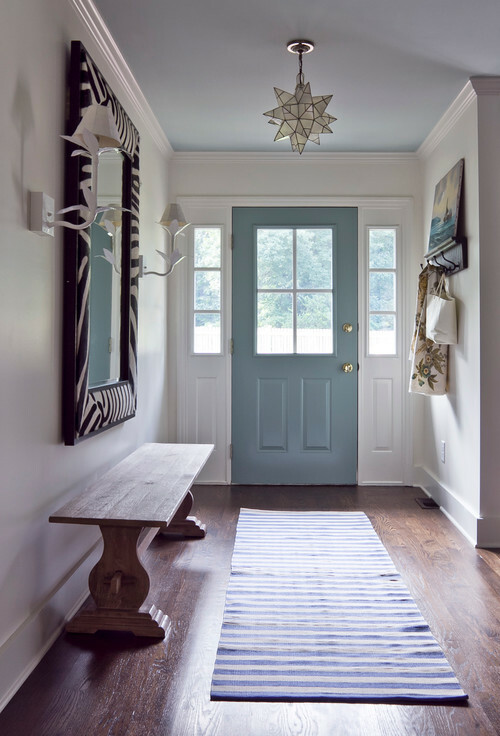 At first sight, the basic ranch home might appear boring and dungeon-like. But give it a makeover and you can enjoy a light and airy seventies ranch like this beauty! 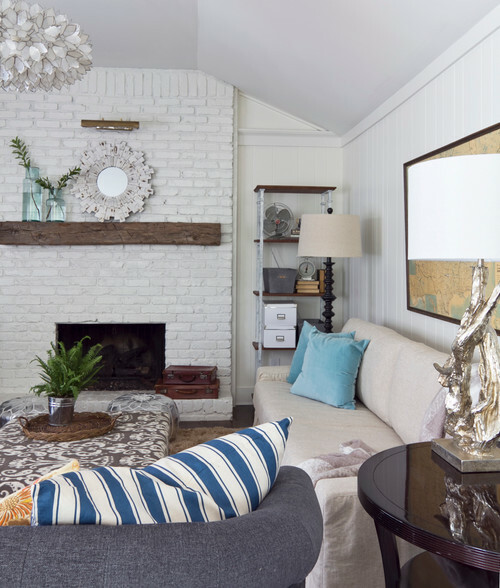 The charming cottage-style living room breathes new life with a fresh coat of paint. The fireplace was likely dark red brick while the paneled walls were knotty pine. Swapping old carpeting for new wood floors is a great way to freshen up a seventies ranch – or any room in any home, for that matter. The kitchen pairs crisp white with mint green for a bright and airy look. Wood floors add a bit of drama to the space while striped pillows lend a pop of pink. Don’t have ample room in the kitchen for a large refrigerator? No problem! 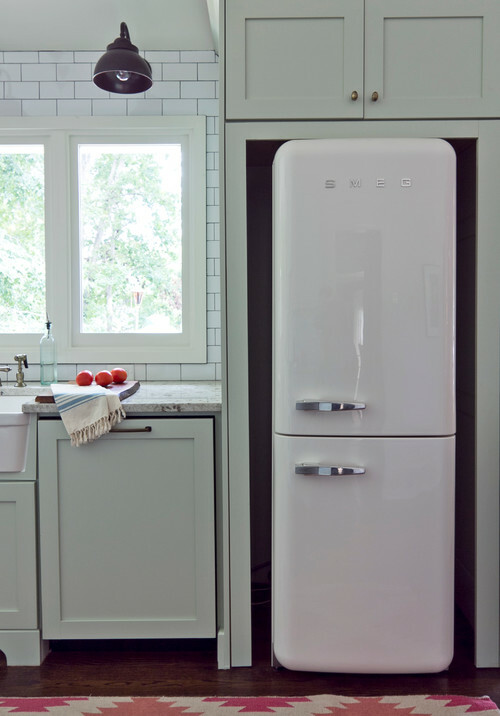 A skinny SMEG fridge fits snugly into custom cabinetry. 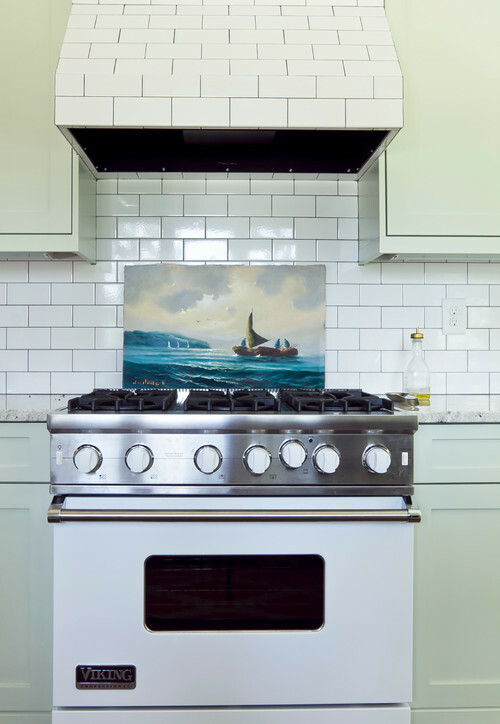 Subway tile extends up onto the range’s vent hood and a pretty oil painting adds color when the stove isn’t being used. 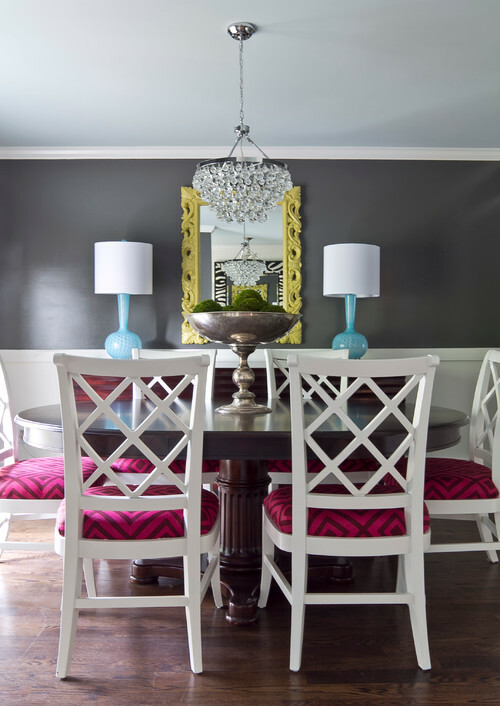 Remember that brush of pink in the breakfast nook? 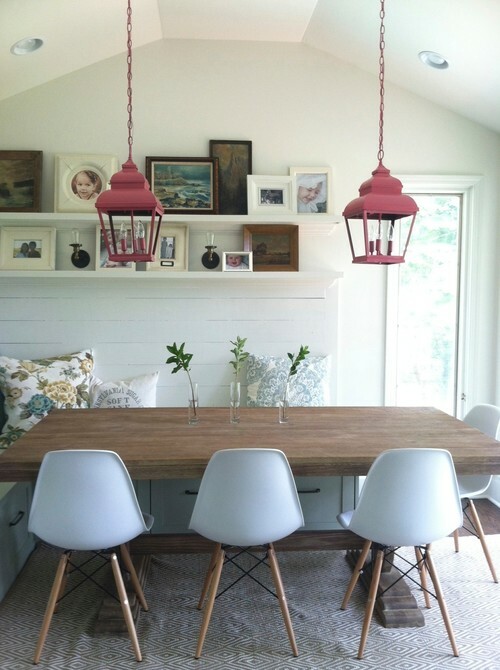 It appears once again on the pendant lights hanging above the banquette table. Today’s ranch home tour features plenty of dining spaces – which is great for people who love to entertain! 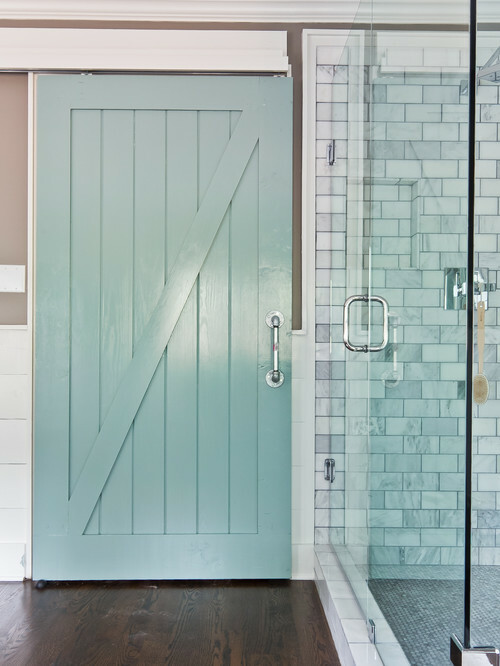 Love this bathroom with its minty sliding barn door and gorgeous walk-in shower! 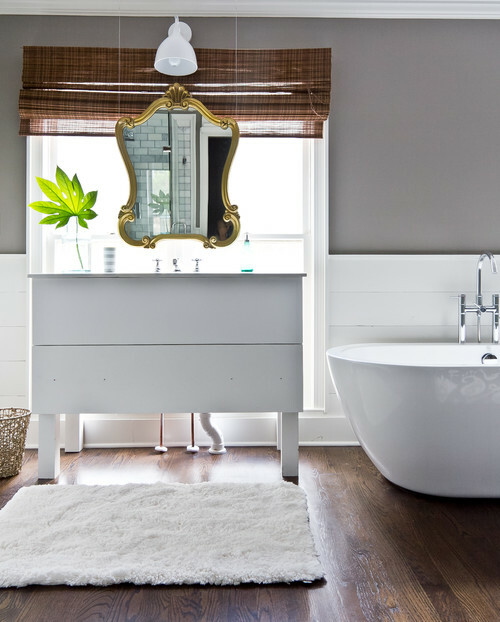 The bathroom enjoys a bit of glam with a gilded mirror over a contemporary vanity. 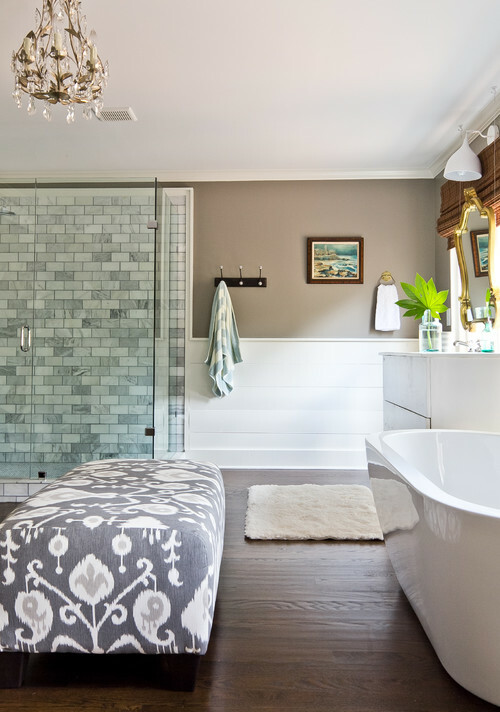 A soaking tub and chandelier with crystals lend a bit of romance. 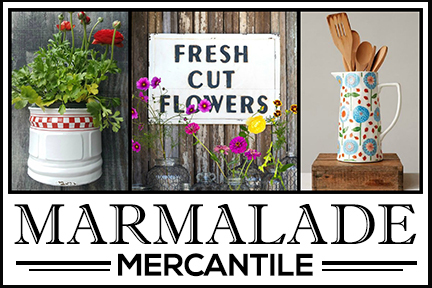 I love when I find a new-to-me designer whose style I find appealing no matter what the project entails. 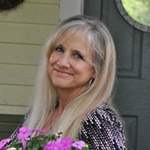 Julie Holloway did an awesome job and I love all her projects that I’ve seen. 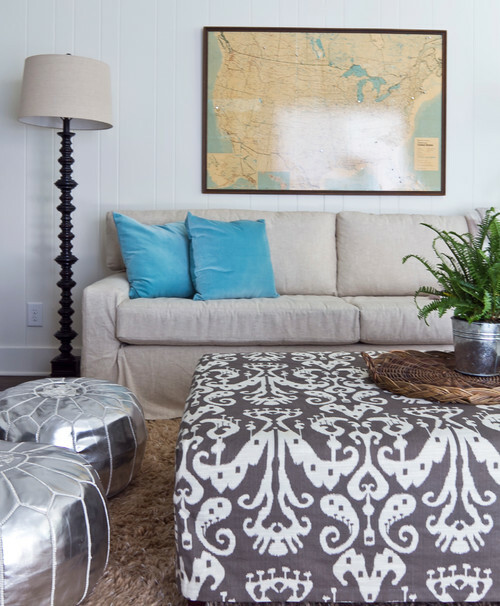 You can see more of today’s charming seventies ranch makeover at Houzz. 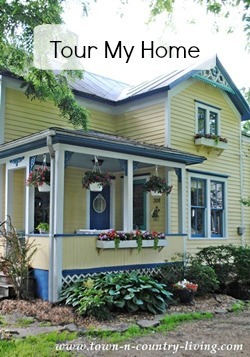 For more decorating ideas, you might enjoy these books! Click on image to order a book. 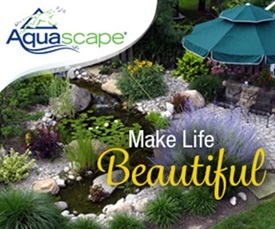 The following links are affiliate links. The designer did a great job, she had some wonderful pictures placed all through the house along with lighting.I wonder why none of the bedrooms were shown. Everything is looking great ! Love that bathroom.